One of the most hyped decks to come out of Lost Thunder is the Lost March archetype. The deck naturally draws comparisons to Night March, the BDIF from the 2015-2016 season, mostly from the similar attack names, but also from some of the similarities between the attack and attackers. The deck actually is quite a bit different from Night March and those differences create vastly different deck experiences and will require different mentalities when it comes to building the deck. At its first weekend of legality for tournament play, Lost March did okay, with one player making day 2 at the Latin American International Championship. While this isn’t an impressive result by any means, it did show that Lost March does have some tournament viability. The second weekend, things went much better with multiple players piloting Lost March lists into Day 2, with Charlie Lockyer finishing in the Top 8. In this article I go through piece by piece the cards that make up the Lost March archetype, looking at the advantages and disadvantages that come with playing these cards and what you can do to minimize the drawbacks of these cards. In doing so, I will then use this to build functional Lost March decks for both the Standard and Expanded format. “Lost March” is an attack that does 20 damage times the number of Pokémon that you have in the Lost Zone, excluding Prism Star Pokemon. As of right now, two Pokémon have the attack, Natu and Jumpluff, both from Lost Thunder. It’s possible that more Pokémon are released in the future, although that seems improbable as Pokémon never printed more Night March Pokémon. With Lost March, Pokémon has more flexibility in printing more attackers with the attack as it isn’t dependent on the attack name like Night March, where they were boxed in and couldn’t release more Night March Pokémon as that would let the damage on Night March scale even further, and it was already super strong as is. In this regard, Lost March is a little more similar to Vespiquen/Flareon in that it doesn’t matter what Pokémon you send into the Lost Zone to fuel your damage. This will allow players to be creative in what they choose to pair Lost March Pokémon with. Think of it like Vespiquen, who in its lifespan has been paired with Flareon PLF, Vileplume AOR, Zoroark BKT, Zebstrika BKP, Zoroark GX, and of course there is that time it teamed up with Night March to win US Nationals. However, it’s different from both Night March and Vengeance/Bee Revenge in that the attack doesn’t naturally power itself up. When a Joltik gets knocked out, Night March does 20 more damage, as the damage is calculated based on the number of Pokémon in your discard pile. When a Natu gets knocked out, your damage output remains the same as it was before it hit the discard, as your damage is calculated by the number of Pokémon in the Lost Zone. This means you have to pro-actively ramp up your damage through the available means of sending Pokémon to the Lost Zone, making it more difficult to ramp up your damage comparatively. While drawing its power from the Lost Zone makes it more difficult to ramp up your damage output, it also provides an opportunity for the deck in the Expanded format as a one prize, OHKO deck relative to Vespiquen and Night March. In Expanded, both Vespiquen and Night March have some pretty hard counters in Karen and Oricorio. These two techs have both been very prevalent since their releases, with both seeing play, making it difficult for players to counter as they will have to deal with two different techs which attack your deck in two different ways. Lost March, in comparison, doesn’t have any of these hard counters at the moment, meaning if you can make a consistent list, you have the potential for BDIF status which I don’t think Vespiquen or Night March have the potential to grasp with their ever-present hard counters in the meta. Natu is a 40 HP, basic Psychic Pokémon with the Lost March attack. It’s Lost March attack costs [C][C], allowing you to power it up with a single Double Colorless Energy attachment. The 40 HP makes it very fragile, allowing almost anything to OHKO it with ease, but as long as you’re trading 1:1 or 2:1 with it, that’s not too big of an issue. The 40 HP also makes it a comparative upgrade to Joltik. With 40 HP, Buzzwole GX cannot snipe it with Jet Punch and in Expanded, Trevenant BREAK does not OHKO it with Silent Fear. This means you can actually stagger Natu against Trevenant decks, giving you an okay shot at beating them. This is similar to how you would stagger Pumpkaboo in the matchup previously. In Expanded you can also attack for a single Energy with Natu when Dimension Valley is in play thanks to its Psychic typing. This also helps improve its Trevenant matchup by increasing the number of Energy outs you have to attacking with Natu. The Psychic typing is both a blessing and a curse. It can be helpful for taking advantage of weakness against Pokémon like Buzzwole GX and Necrozma GX in the BuzzRoc and Malamar matchups. However, it’s harmful in that Zoroark GX has resistance on Natu, making Zoroark a bit of a tank against Lost March decks. The next piece of the Lost March Puzzle is the Jumpluff line, which acts both as an attacker and as one of your mechanisms for getting Pokémon into the Lost Zone. When you use “Floral Path to the Sky” to exchange your Skiploom for a Jumpluff, you put two Pokémon into the discard pile and increase your damage output of your Lost March attack by 40 damage. You can do this a maximum of four times in a game for a maximum of 160 damage added to your Lost March attack through your Jumpluff line. This Ability is interesting in that the Jumpluff outright replaces the Skiploom line, which means any cards attached or any damage counters on the Pokémon go away. This makes it different from a card like Ninja Boy, where all effects and damage remain on the Pokémon. This helps Lost March against spread decks as you have a natural way of healing one of your Pokémon line. An awkward part about Skiploom’s Ability is that it will fail when you have no Jumpluff in your deck. Something that happens is you get your last remaining Jumpluff(s) in your hand, meaning the Ability fails. If you get Jumpluff in your hand, there is a few ways to work around this to be able to use the Ability effectively. The first is to play a shuffle and draw Supporter, such as Cynthia. If you don’t draw back into the Jumpluff, then you will be able to use the Ability effectively. The next thing you could do is to discard the Jumpluff with a card like Ultra Ball or with an Ability like Zoroark GX’s “Trade” and then put it back into the deck with Rescue Stretcher. In the Expanded format, you can also use Pokémon Communication to put the Jumpluff from your hand back into your deck in exchange for another Pokémon. If you’re already doing an appropriate amount of damage with “Lost March” for the matchup you’re in, you can also choose to naturally evolve the Skiploom into Jumpluff and then use it as an attacker. Lastly, you can use Lost Blender to put excess Jumpluff line pieces into the Lost Zone. As an attacker, Jumpluff has 70 HP, making it a little bit bulkier than a Natu, but not by much. It does have Fighting resistance, which gives it better staying power against Buzzwole decks than Natu against Buzzwole decks. I think you would want to attack with Natu against the Buzzwole GXs, and then use Jumpluff against the non-GX Buzzwole, or against Lycanroc GX which you can hit for weakness with Jumpluff’s Grass typing. Its “Lost March” attack costs [G], so you can power it up with a Grass Energy attachment, or through a variety of Special Energy cards, such as GRPD Blend Energy, GRW Unit Energy, Rainbow Energy, and Super Boost Energy. This can be useful in Expanded Format as you would then be able to use Special Charge to retrieve both your Double Colorless Energy and your other Energy card. In Standard, basic Grass Energy is very solid, especially in lists playing Net Ball, as you can use that to search out your Energy in addition to your Hoppip. Both Skiploom and Jumpluff have no retreat cost, making them both great Pokémon to promote into after a knockout or after playing your own Guzma. “Mountain Pass” is very simple to use. It boils down to getting Trumbeak into your hand so that you can send it on its way to the Lost Zone. To find it, you will either want to draw lots of cards to draw into it naturally, or play heavy amounts of ball search cards, such as Great Ball and Timer Ball, to try to find them. As you can play four Trumbeak in your deck, you can send up to 80 damage worth of Trumbeak into the Lost Zone. “Mountain Pass” would have been good enough with just sending Trumbeak to the Lost Zone to power up your Lost March damage, but the secondary effect of looking at the top card of your opponent’s deck makes it an even more insulting card. Sending a Cynthia or Lillie into the Lost Zone that may have been your opponent’s only draw out during their next turn can lose them games and sending Guzma into the Lost Zone is good as well as it helps prevent your opponent from being able to target down your support Pokémon. With this secondary effect I could see Trumbeak actually being played in some type of disruption deck. If a deck comes about that manipulates the opponent’s top deck, Trumbeak could be used to send any Supporter cards found there into the Lost Zone. The last piece to the puzzle is Lost Blender an Item card that has you put two cards from your hand into the Lost Zone, and then you draw a card. In the context of this deck, the goal is to try to use this card to put two Pokémon into the Lost Zone. To effectively use Lost Blender, you will want to build up big hands. It’s not enough just to have Pokémon in your hand, but you have to use Pokémon that you don’t want to put in play, or which can’t be put in the Lost Zone through other means to get maximum effect from this card. The way to best do this is to draw lots of cards. The more cards you have in your hand, the more options you will have and the better able to you will be to put the least important Pokémon into the Lost Zone with Lost Blender. This means that good opportunities to use Lost Blender in a normal Lost March list will be after a big first turn Lillie or after you take prize cards. Copycat may be worth considering in Lost March lists to try to create larger hands to use in conjunction with Lost Blender. Zoroark GX and its “Trade” Ability is also great for building large hands to effectively use Lost Blender. The other way to maximize its effect is with ball search cards that you can convert into Pokémon which can be sent to the Lost Zone with Lost Blender. You also get to draw a card off of Lost Blender which marginally helps your consistency. This is great for filling your bench with Hoppip and other 60 HP or less pre-evolution Pokémon you may play, such as Zorua, on the first turn of the game. After the first turn, it’s also useful in that it can search out Skiploom, which has 60 HP. This usually isn’t a great option after turn 1, but it’s decent for searching out Skiploom or Pokémon you may want to send to the Lost Zone with Lost Blender. This deck plays so many Pokémon that this will rarely fail, and it usually finds something good, whether it be a pre-evolution you can play to your bench, a Trumbeak that can be sent to the Lost Zone, a Skiploom you can evolve into and then send to the Lost Zone, a Natu you can attack with, or one of your support Pokémon such as Marshadow or Oranguru. This card is never fun to play as coin flip cards add more variance into your deck, but this is good in that it can search out both Skiploom and Trumbeak for you. Net Ball can be solid in all stages of the game. If you find it early game, it finds your Hoppip, so you can start filling your bench. If you find it in the late game, you can use it to search for a Grass Energy, making the deck more consistent in attacking with Jumpluff. In Expanded we gain access to Level Ball, which is the best search card for this deck as it can search out every Pokémon in the Jumpluff line, Trumbeak, Natu, and even a support Pokémon like Marshadow. In Expanded we also gain access to Pokémon Communication. This is great for sending Jumpluff back into the deck so that you can use “Floral Path to the Sky” to search out that Jumpluff. It’s also solid for exchanging Skiploom for Hoppip on the first turn of the game. You play so many Pokémon that you almost always have a Pokémon you can exchange with it in hand. This is a tech for Shuckle GX. Shuckle GX’s “Protective Shell” Ability prevents damage from Pokémon with two or less Energy attached. If you have three Jumpluff in play, Super Boost Energy counts as four Energy allowing you to work around “Protective Shell”. Against a Shuckle GX stall deck playing multiple copies, this probably isn’t enough to overcome it as they will hammer off the Energy and then you’re stuck again. It could be enough to overcome random Shuckle GX’s included in other decks as an attempt to cheese some matchups though. This is a commonly played Stadium for Lost March decks and also provides Lost March decks a way to bounce Prism Star Stadium cards. Lysandre Labs made a lot of sense as the Stadium headed into the format as Malamar with Spell Tag was very hyped, and that was difficult for the deck to overcome. With that deck not looking quite as strong, there is less of a reason to play Lysandre Labs, but it can still be clutch for shutting off random Wishful Baton or Exp. Share you run into, and you still might run into Spell Tag decks, even if they’re not the strongest. This is a good consistency card for Lost March decks just as it has been in the past couple of formats for the non-GX Shrine of Punishment decks. It allows you to convert your Ultra Ball into a draw out, allowing you to extend your draw beyond your Supporter card for turn. It is a non-GX, so it only gives up one prize, so unlike Tapu Lele GX, it’s not something opponents can target to take away your advantage in the prize trade. It’s okay to play extra copies of these as they help improve your consistency and you can send them to the Lost Zone to boost your Lost March damage. This is another non-GX draw option for the deck. Once in play it gives you continuous draw throughout the game. The card is very hit or miss in formats with N, some games not really doing much of anything, while in others drawing you lots of extra cards throughout the game. This could be a good stall tactic early in the game as you’re trying to buy time to get more Pokémon into the Lost Zone. It runs off the same Energy type as Jumpluff, so it’s an easy to include in the deck. A staple in Expanded Night March decks, Marshadow GX could be coming soon to Lost March decks in both formats, being able to use “Lost March” when a Natu is in the discard pile. Marshadow GX gives you an easy out for taking OHKO’s on Fighting weak Pokémon, such as the ever present Zoroark GX. It also gives the deck are bulkier attacker than the tiny little Lost March Pokémon that blow away when hit with the slightest of breezes. This won’t be relevant in every matchup, as Marshadow GX isn’t that hard to OHKO itself, but it’s possible that a meta develops in the future where this could be leveraged to your advantage in some matchups. In Expanded you can make it a bulkier with Fighting Fury Belt and Focus Sash. Field Blower is decently played right now, but with the introduction of Prism Star Stadium cards we might see players starting to cut their Field Blowers for extra Stadium cards to be able to bounce the Prism Star Stadiums, allowing you to better leverage these tools with Marshadow GX. In Expanded, with Ditto from Boundaries Crossedand Klefki from Steam Siege we have some additional options for getting Pokémon into the Lost Zone. 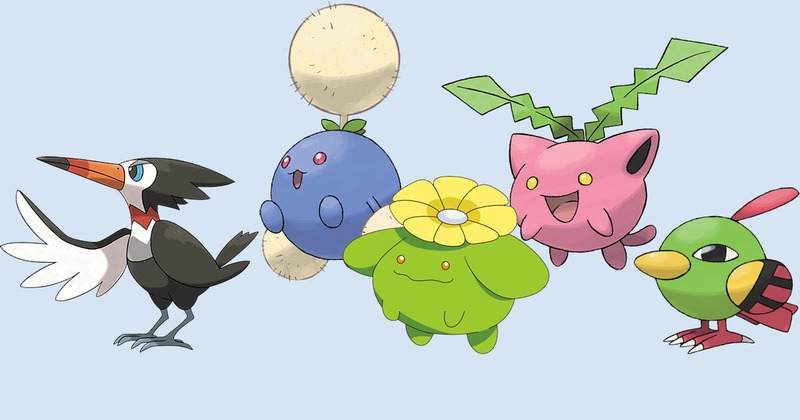 You can use Ditto and its “Transform” Ability to Transform Ditto into a Hoppip, which you then evolve into a Skiploom which you use “Floral Path to the Sky” to send them all to the Lost Zone, including Ditto. You can then send a fourth Pokémon to the Lost Zone by using “Wonder Lock” with Klefki to attach it as a Tool to Skiploom. With this combo you can send 80 damage worth of Pokémon to the Lost Zone with a single “Floral Path to the Sky”. I think it’s easy enough to get Pokémon into the Lost Zone without doing this in Expanded, but it’s still an option worth considering. If you choose to play these, however, I think Klefki is strictly better than Ditto, and I don’t think you have room for both. The above are the fundamental building blocks of Lost March. From these cards we can make some observations about the deck, which are. Lost March is of slower tempo than Night March. Night March got going turn 1, usually taking knockouts from turn one on. With you not being able to evolve into Skiploom until turn 2, Lost March is at least a turn slower in tempo, making it more comparable to Vespiquen/Flareon in speed. You can put a maximum of 12 Pokémon in the Lost Zone between Trumbeak and Lost Blender. This is 240 damage with a maximum fill, meaning you really need to play some count of Jumpluff lines to hit for enough damage across matchups. There has also been a power creep in the game since Night March’s time. Hitting for 180 used to be a guaranteed OHKO, but now Pokémon have higher HP, giving you a greater hurdle of damage, you need to get to to be relevant with this type of deck. Relative to Night March’s format, there are also a lot of better non-EX/GX attackers, which also makes existence for Lost March more difficult. Night March actually could have issues with other non-EX decks such as Yveltal/Zoroark back during its heyday. With a OHKO Damage cap, Lost March should have a higher potential for greatness than the other non-GX decks. To combat the problem of a slower tempo and the increased HP of other Pokémon you need to do one of two things to keep up in the prize trade. Either play a bunch of extra draw to out speed other decks or wall off at the beginning of the game to give you time to put Pokémon into the Lost Zone. This is initial successful version of Lost March that you will see. It was popularized by Kirk Dube with a Some1sPC article on the deck and then refined and piloted to a Top 8 finish by Charlie Lockyer at the Roanoke Regional Championship. Here is Charlie’s list from Roanoke. This version of the deck’s strategy is very straight forward and the point of it is to dump Lost March Pokémon into the Lost Zone as quickly as possible. It’s built entirely around consistency. To do this it plays 10 ball search cards, playing 4 Great Ball, 3 Ultra Ball, and 3 Net Ball. It also plays five Pokémon with draw Abilities, with three Marshadow and two Oranguru, giving you lots of extra draw beyond your Supporter for turn. This is a variant that I’ve been working on that takes a different approach, playing for a longer game with the Lost March attack. It takes the tried and true method of taking new Pokémon cards, putting it in the Zoroark deck shell, and creating a competent deck out of it. This variant takes a slower approach to the game, attacking with Zoroark GX in the early game while you build up the number of Pokémon you have in the Lost Zone. Riotous Beating is a good early game attack, being able to knock out pre-evolutions and support Pokémon like Malamar and Magcargo in the early stages of the game, as well as 2HKO GX Pokemon. You then use Guzma to switch between Zoroark GX, retreat them, or play Acerola to prevent knockouts. Thanks to Zoroark GX’s Trade building up big hands for you, you’re better able to use Lost Blender to get Pokémon into the Lost Zone than the standard version of the deck can. For your Trades, you will usually want to Trade away your excess Professor Elm, Cynthia, and Ultra Ball, but with two Rescue Stretcher in the deck, it’s also fine to Trade away Pokémon. This actually combos well with getting rid of any Jumpluff you have in hand, as you can Trade them away, then use Rescue Stretcher to shuffle them back into the deck and then use “Floral Path to the Sky” to get them into play. Ultra Ball is primarily in the deck for early game consistency, but as the game goes on it’s not great as you don’t have too good of discards with this deck as you usually want to keep most of your resources. Finally, here is a look at Expanded Lost March. This list is very much like the normalized Standard version of the deck in that it’s mostly based around consistency. The biggest difference between this and the Standard version of the deck is that we have better options for supplemental draw available. While we still play Marshadow SLG and Oranguru SUM we also get Bicycle as an Item based draw card, typically drawing ourselves 10+ cards per a game with it. Oranguru’s retreat cost is annoying, but we can retreat it for a Double Colorless Energy or play a Guzma to get it out of the active spot. It’s too good not to play. Super Rod is a nice addition to the deck in contrast to Rescue Stretcher in Standard. It puts Jumpluff back into the deck, so we can use “Floral Path to the Sky”, just like Rescue Stretcher, but it’s able to get Grass Energy back to attack with Jumpluff. Pokémon Communication provides another option for getting Jumpluff out of our hand and back into our deck. While it’s good at that, I still prefer heavy counts of the actual ball search cards to it as they can grab me something without needing me to have another Pokémon in hand. Level Ball is amazing in here, being able to get any piece of the Jumpluff line, Trumbeak, Natu, and even Marshadow if you need to draw some cards. Great Ball is very solid in here, as it almost always hits on something, and you can utilize almost anything you hit off of it at any point in the game. Ultra Ball is tough to play in here as there isn’t much you want to be discarding. The 1-of VS Seeker is a little strange. I started with four Professor Juniper and three Guzma but switched out a Guzma for a VS Seeker. This gave me three primary Guzma outs in a game (a fourth with Dowsing Machine), while being able to sometimes have that “third” Guzma act as a Professor Juniper. I really like Marshadow GX in Expanded. If you manage your bench properly and draw well enough early on, it can win you the Trevenant matchup with its HP. It’s also great against Zoroark GX decks for taking a OHKO early as you work on establishing your Lost March damage. If Trevenant BREAK is looking big, you can make room for a Giratina, which will also provide you a near auto win against Greninja BREAK decks as well. For the Garbodor matchup, you have Field Blower, and then you can get a second use of it with Dowsing Machine. Between Field Blower and Guzma, you have decent outs for dealing with Garbotoxin. A second Field Blower could be included to improve your matchup against Garbodor decks if it’s looking to be prevalent. I think this deck has a lot of potential in the Expanded format. It sets up very quickly and very consistently while hitting for OHKO’s. Unlike Night March, it doesn’t have a hard counter, outside of Shuckle GX, but if that starts to see play, then you could potentially tech in Silent Lab to get around it. My son loved playing ZoroNightMarch in Expanded tournaments. Do you think ZoroarkLostMarch deck would be better than your expanded Lost March deck? Or would it just slow it down? It seems slower. The Bike version takes OHKO’s on turn 2, so I don’t think Zoroark does enough for the deck. At best, it would be roughly the same speed, but at the cost of introducing GX’s that the opponent could take two prizes on, mitigating the advantage of the one prize attackers. Curious but since Anaheim and Portland do you feel this deck can still be good for Dallas? Also do have any changes since the past two regionals?